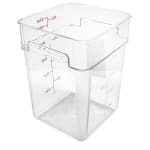 The Cambro 22SFSCW135 Camwear® CamSquare® food container is made of polycarbonate, a material that resists minor damage, stains, and odors. Its material is clear, so staff members can see inside the container. With the built-in graduations, portioning and prepping product is simple. The square shape is a better fit on shelves than round containers. 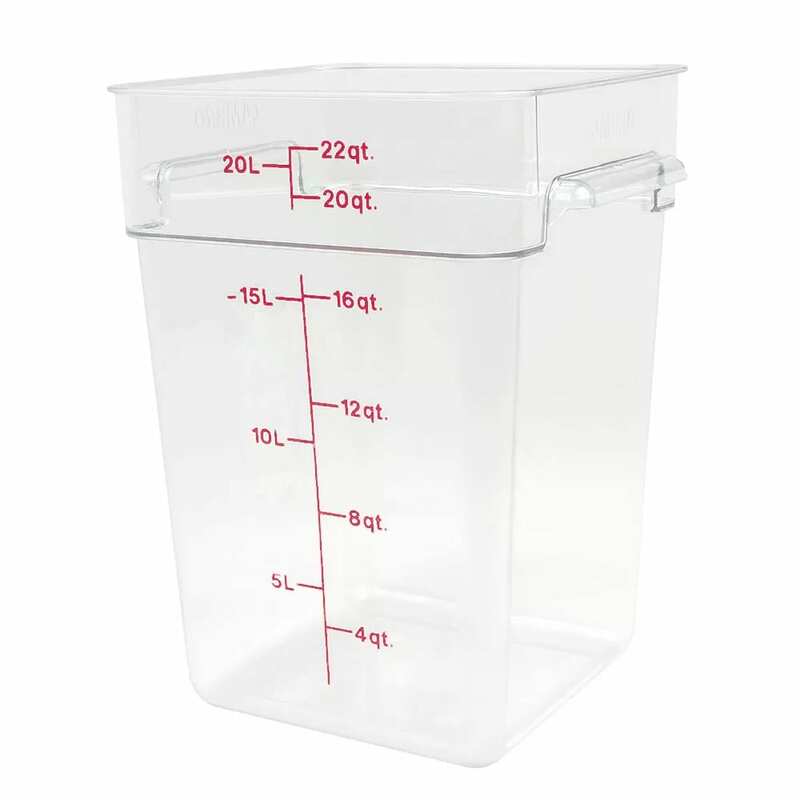 Measuring 111⁄4 inches long by 121⁄4 inches wide by 153⁄4 inches tall, the Cambro 22SFSCW135 Camwear CamSquare food container has a 22-quart capacity. Carrying the dish is simple with its wide molded-in handles, and holes in the handles enable water to drain properly. "I love these containers, have so many uses. I am a caterer and I use them to store excess flour, bread crumbs, as well as sauces and soups for la..."
A Must Have for Caterers!! 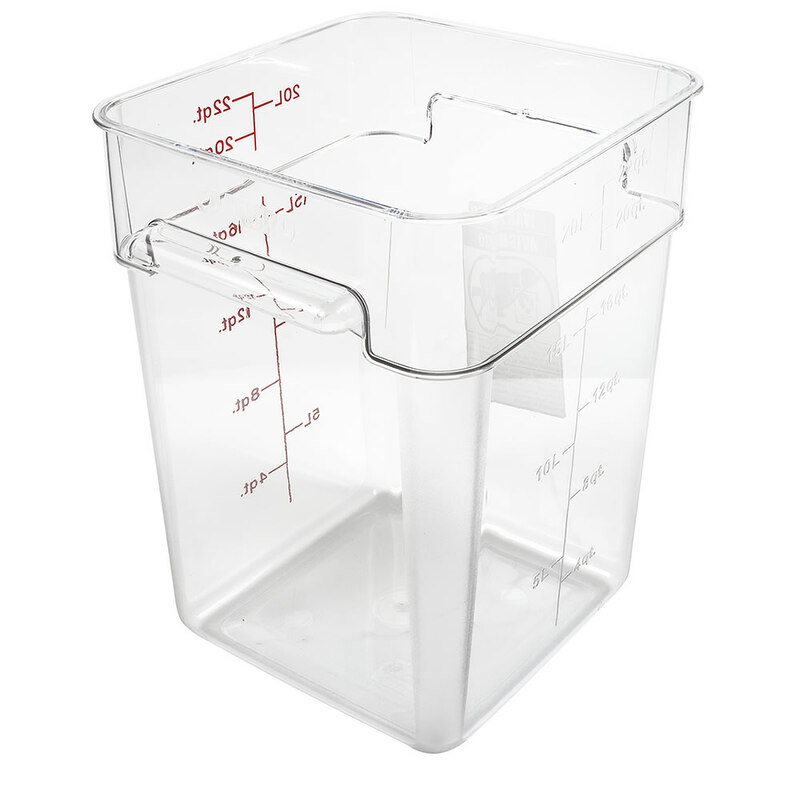 "I love these containers, have so many uses. I am a caterer and I use them to store excess flour, bread crumbs, as well as sauces and soups for large functions."